As we were coming up with ideas for the theme in our 15th North South University Toastmasters meeting, a post by Smita Pati, District 41’s Newsletter Editor to have a meeting themed “The Secrets to Great Leadership” popped up on Facebook. Thus, it was obliged. We had 15th meeting themed “The Secret of Great Leadership”. Even though the preposition was different but the motto was same. 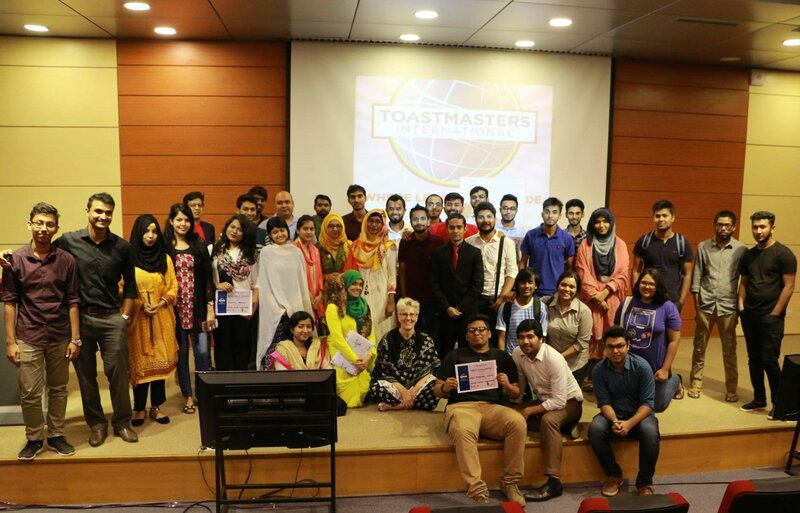 The 15th North South University Toastmasters meeting was held on 24th August 2017. The meeting marked our members’ completion of ice breaking speeches from their CC Manual making us earn The Smedley Award. The meeting was opened and invocated by our President Dr.Katherine Li. President congratulated all the members for their fine ice breaking speeches. Grammarian Sihinta Shembil gave the word of the day ‘ingenious’. The meeting was followed by prepared speeches, table topic session and their evaluations. 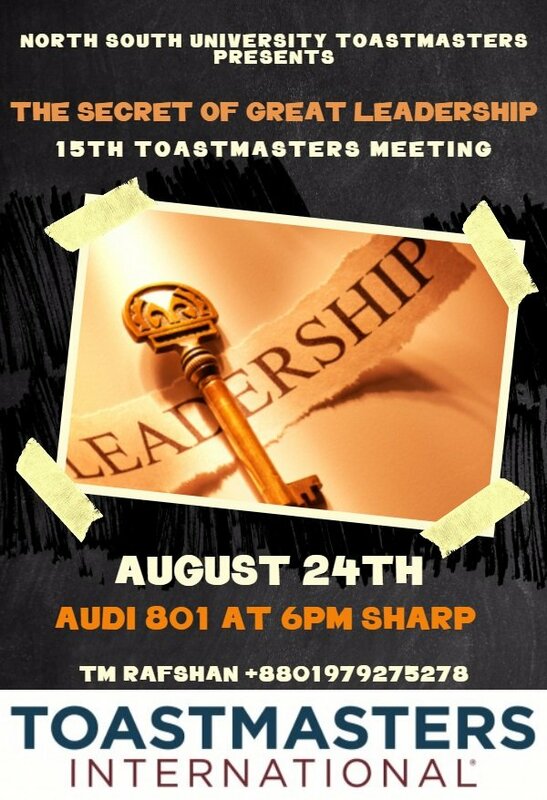 The meeting was hosted by Toastmaster of the Day Manoj Roy. The role takers gave their respective reports. The meeting was closed with the announcement of the Club Speech Contest to be held on 25th August 2017 and the trademark group photograph. Previous Post: Delhi Toastmasters Club turns 1 year old!